Dormagen / Nuremberg - ARLANXEO, a leading global manufacturer of synthetic elastomers, has launched Levapren® PXL, a new ethylene-vinyl acetate rubber (EVM). The new EVM products are characterized by a particularly high viscosity and easier processing, which is needed when manufacturing high-quality hoses, cable sheathings and floor coverings. ARLANXEO utilizes reactive extrusion for the production of this new EVM series. In contrast to precrosslinking via radiation, this technology uses very small amounts of peroxide to precrosslink the polymer, while ensuring that no traces of the crosslinker are left in the finished product. The result is a homogeneously precrosslinked, free-flowing granulate with very good rheological properties. “Levapren PXL can be processed quickly and easily in various mixing procedures; extrudates show very good surface quality,” says Jörg Stumbaum, Technical Manager at the ARLANXEO High Performance Elastomers business unit. Reinforcing fillers, such as highly active carbon blacks, can be efficiently dispersed with Levapren PXL. 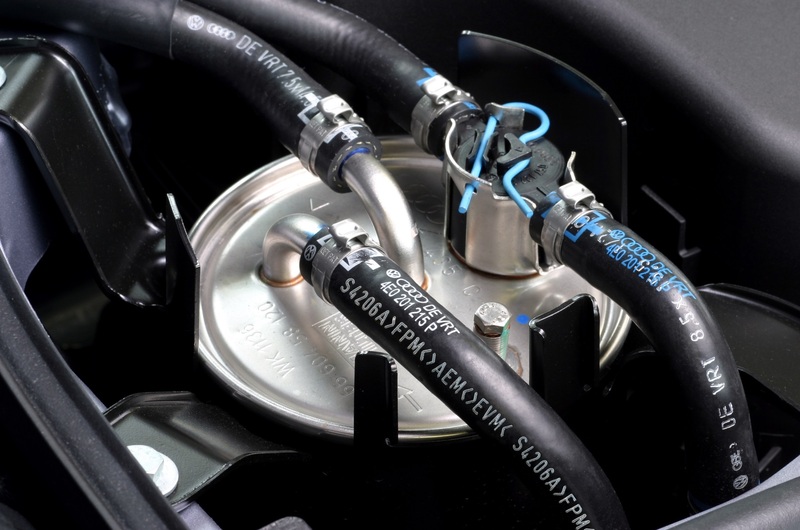 A dual advantage: “This allows for the production of hoses with a tensile strength up to two megapascals higher than those with conventional EVM types,” says Stumbaum. The PXL variants also show a significantly reduced tack and adhesion to metal, which is good for processing in internal mixers and on rolling mills. With Levapren PXL, ARLANXEO now offers a precrosslinked EVM variant that is tailor-made for high-quality, oil and fuel-resistant rubber hoses. In addition to the use in the wire and cable or automotive industries, the free-flowing granulates are also suitable for rubber and plastics processors with continuous mixing processes, who were previously unable to use Levapren. This means that the EVM rubber from ARLANXEO can now be used in an even more flexible and versatile manner. The Levapren 500 PXL, 600 PXL, 700 PXL and 800 PXL variants with vinyl acetate contents between 50 and 80 percent have been introduced to the market since early 2018. We would be happy to provide more information in person. Visit us at the DKT 2018: Hall 12, Booth 506. Veritas fuel hose made of high quality Levapren from ARLANXEO.